On Saturday, May 19th of the Victoria Day long weekend, some of our dancers came to represent our studio in the Rodeo Parade! We had perfect weather, so much fun handing out candy, stickers, and waving to the hundreds of smiling, future Thistlebrook dancers in the crowd. After the parade and over the Rodeo Weekend, a lot of our dancers enjoyed the fair, great food, and entertainment. 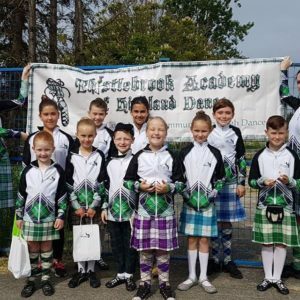 Highland Dancers have fun too, and we are so excited for the outdoor games to start!